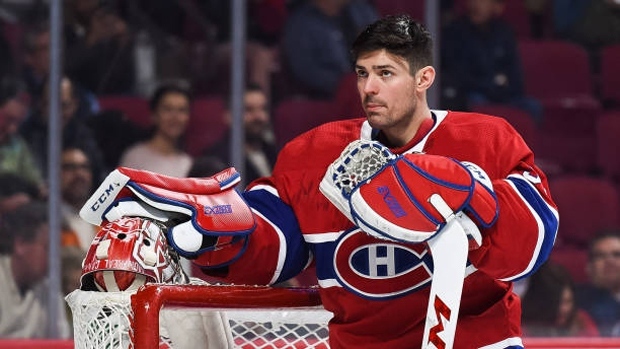 Goalie Carey Price will miss Saturday's clash against the Pittsburgh Penguins due to the flu. Backup Antti Niemi will likely get the start between the pipes while Charlie Lindgren has been called up from the AHL's Laval Rocket on an emergency basis. The 31-year-old Price is 1-1-1 with a 2.32 GAA and a 0.909 save percentage over three games this season, his 12th in Montreal. Lindgren, 24, is 2-1 with a 2.39 GAA and a 0.875 save percentage over three games in the AHL this season. Thomas Plekanec will be in the lineup for the first time this season, his 999th career game in the NHL. Les Canadiens rappellent le gardien Charlie Lindgren (rappel d’urgence) du Rocket de Laval. Carey Price absent en raison d’un virus. #Penguins DeSmith will start vs #Habs. Murray will backup, returning from concussion. Head coach Guy Boucher confirmed the Sens will go with 11 forwards and seven defenceman for their matinee on Saturday against the Los Angeles Kings in the nation's capitals. Winger Nick Paul will sit out. The coach confirms that he’ll go with 11 forwards and 7 defencemen this afternoon. Nick Paul is the extra and won’t play today against the Kings. General manager Jim Benning announced on Saturday that forward Antoine Roussel is cleared to play and has been activated to the active roster. Roussel, who was signed to a four-year, $12 million deal in the summer, has not played this season due to a concussion. Defenceman Alex Biega has been designated for assignment. The Isles placed centre Casey Cizikas on the injured reserve with a lower-body injury (retroactive to Oct. 8). The team also has signed forward Stephen Gionta to a one-year, two-way contract. The 35-year-old scored one goal and five assists over 26 games with the Islanders in 2016-17, his last appearance in the NHL. #Isles Transaction: Casey Cizikas has been placed on IR with a lower body injury (retroactive to Monday, Oct. 8). Stephen Gionta has agreed to terms on a one-year, two-way (NHL/AHL) contract.